Charleston, W.Va.-- At the summer meeting of the West Virginia Republican State Executive Committee, a Resolution was passed against the implementation of a "one size fits all" federal education standard known as Common Core Standards. The Resolution closely mirrors what was passed unanimously by the Republican National Committee. "We oppose Common Core because it nationalizes our education system, removes local control of our schools and allows the release of private student data to the federal government," said Senator Boley. "I am very appreciative that Chairman Lucas invited our group, West Virginians Against Common Core, to present to the committee at our annual meeting. Angie Summers, who presented our reasoning to the Committee did a great job and the Resolution to oppose Common Core was passed unanimously," added Boley. 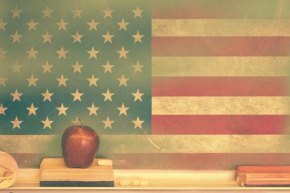 "Common Core is a heavy handed overreach by the Federal Government in the era of big data and government intrusion in individual's privacy," said Conrad Lucas, Chairman of the West Virginia Republican Party. Lucas, who holds a master's and doctorate in education policy from Harvard and Vanderbilt respectively added, "A federal takeover of education was never intended by the founders and should be left up to those in states and communities who know our children best."